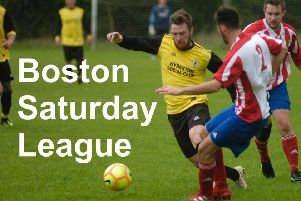 Skegness United completed a Lincolnshire League double over Rustons on Saturday. Having already won 4–0 at Wainfleet Road in October, United earned a 2-1 victory. United started the stronger but couldn’t find that killer touch. However, on 30 minutes United took the lead when a through ball was collected by Dom Goddard, who controlled it before firing in a shot. Another half chance came to United a minute later when Troy Lonslow cut in from the left but his shot crossed the face of the goal. On 35 minutes, Goddard collected a ball and turned his marker. However, his shot was just wide of the post. From a Lonslow corner the ball was met by Jamie Wolstenholme, whose shot crashed against the crossbar. The second half started with the home side being more involved and, from a free kick, Travis Portas had to be alert to turn away a free kick. A snapshot by Rustons was wide of the upright. United began to take control of the match again, and increasing their lead in the 68th minute. A cross from the left was met at the far post by Archie Paul, who headed home. Jake Portas was just wide of the upright from a free kick for United. On 75 minutes Louis Saebe brought a good save out of the home keeper at the expense of a corner. One minute later the keeper saved well from Goddard , and the same player was denied again by the keeper after being played through. With the match drawing to an end, Portas had to turn a goalbound free kick away for a corner. From the resultant corner Jake Stokes got in front of the United defence to head home from five yards. UNITED: T. Portas, Gray (Hobbins), Murray-Parris, J. Portas, Muirhead, Wolstenholme, Lonslow, Cunliffe, Goddard, Saebe, Paul. The Devopment side’s match with CGB Humbertherm Reserves was cancelled due to the visitors’ inability to raise a side. On Saturday, United are away again to Ruston Sports in the Challenge Cup (KO 1.30pm) and the Development side are away to Alford Town Reserves (KO 2pm).